Magnavox Metalis 286. It's older than Thinkpads. This is a Magnavox Metalis 286. 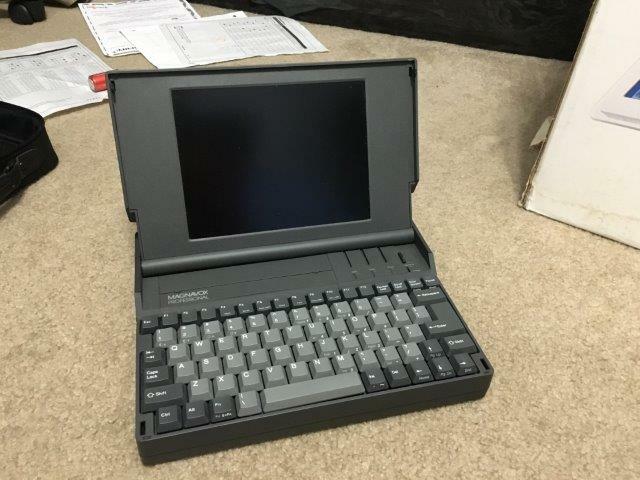 It is a crappy computer from 1990. It was cheap then, and it still is. It still is an interesting machine none the less. 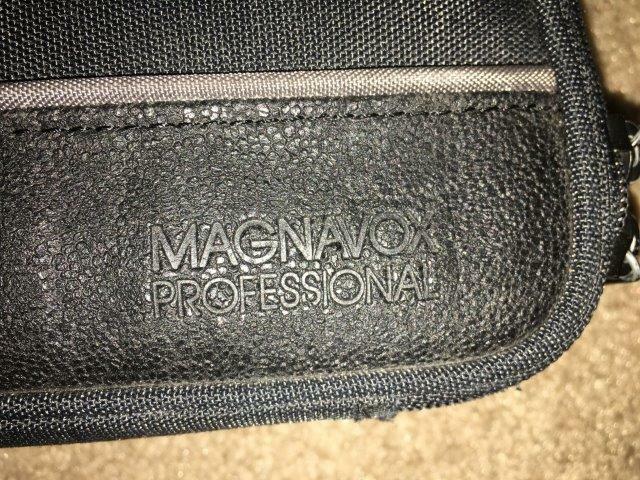 Hmm...a Magnavox Logo...Not your usual brand. It is a 286. Such speed. 1.44MB Floppy, PS/2 Ports underneath the cover. VGA and optional modem underneath over. This battery hole has more square footage than my house! 8.3" of TSTN Goodness. The screen is a paper-white display. Better color representation than most color displays. 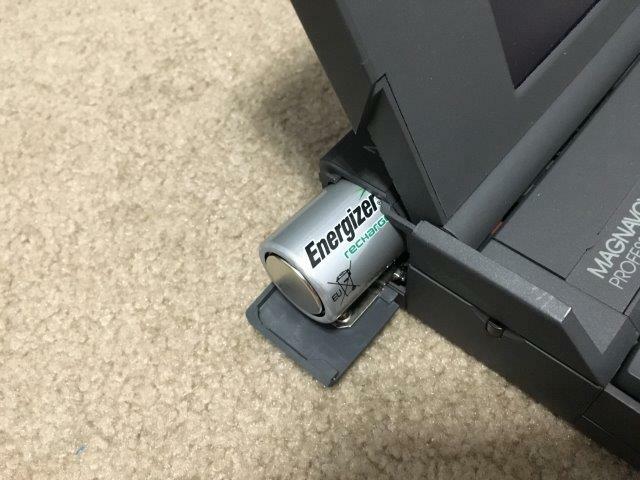 This battery looks like something.. Hmm.. Exactly!! 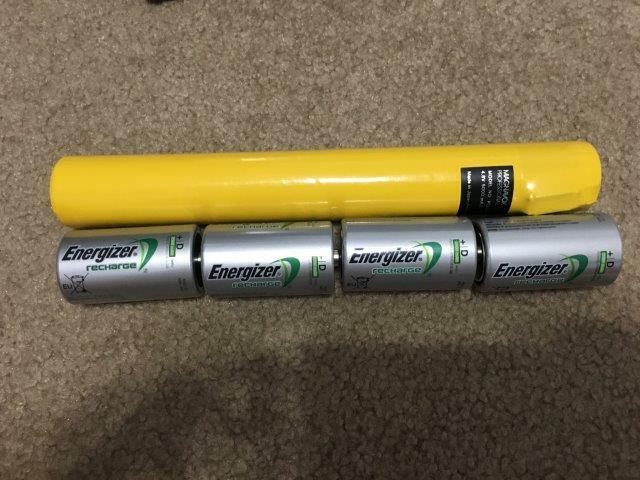 4 D batteries. I knew it was a familiar size! No old computer is without its memory check. TSTN LCD is showing its ghosting abilities for Halloween. Hey look, indicator lights. Lenovo, write some notes down! *TSTN display is a triple-twist super-twisted nematic display. Used for better transitional color representation. Only works with NiMH and NiCD. Not Alkaline due to some fancy electrical stuff. 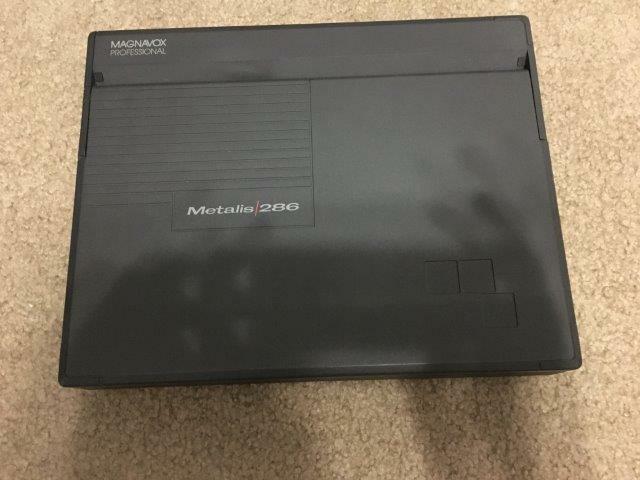 Re: Magnavox Metalis 286. It's older than Thinkpads. Lovely pickup! How well constructed is it? Keyboard? Construction is nice. The hinges are beautiful and extremely tight, good TP hinges. Pretty solid machine. The plastics are quite flexible and strong like they should be unlike the 701C. The keyboard: the feel is AMAZING. Beats a TP NMB keyboard anyday. 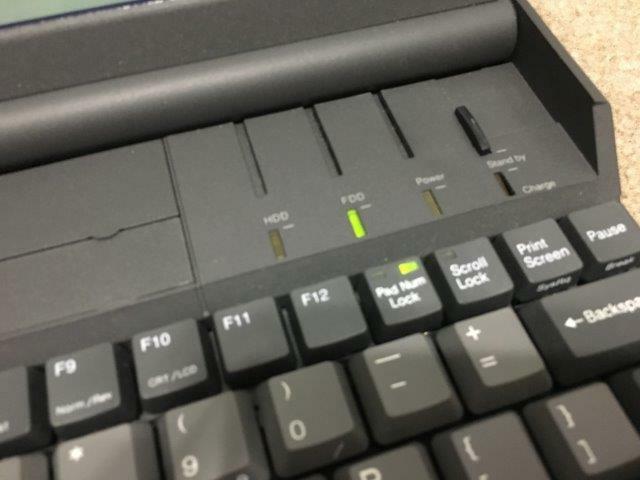 The problem is that the rubber membrane that detects the keypresses is wearing down and sometimes it registers twice. Othertimes, it takes a nice long press for it to register. More often than not its the double key problem. For a machine I wont use often, its not the end of the world. Im likely getting a HyperBook 2200SX that runs on 8C batteries and has a working HDD. That will need a restore on its paint. The other biggest problem is a dead HDD. It spins, but FDISK doesnt detect it. 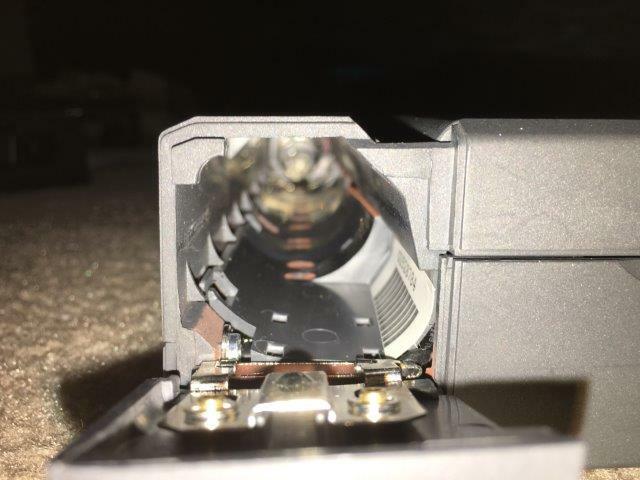 How hard would it be to source a replacement drive? I don't know, but Ill try a CF card. Im not sure how the BIOS will play because you cant enter the settings(cyls,heads,etc.) Only 4 presets for 20,30,40 and 60mb drives. Ill see what I can find. Any PATA 2.5" HD will do if carefully insulate the circuit board and set bios to 60MB using a 10GB PATA HD. Otherwise, look for 2.5" HD like this with old mounting pattern. 1GB or less still work as 60MB mode thanks to PATA autotranslation sectors. I have done this before. One problem...it uses 3.5" disks. 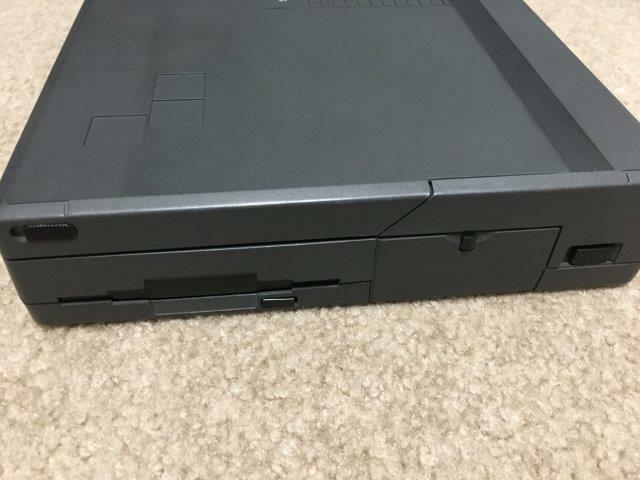 Its a laptop with a 3.5" disk. Quantum, Hitachi and IBM are excellent picks, avoid Conner. Last resort is Seagate. Its XTIDE. Will it still work? The 40MB drive is a Conner 4044XT drive. XT? I doubt that for an 16bit 286, I think this HD is set as AT mode (16bit mode) This SH260 chipset by cirrus logic is high failure rate and selectable between 8 or 16bit mode, majority of Conner with SH260 chipset are AT mode. See if you can try any PATA HD 10GB-20GB first set as 60MB via BIOS. The standard of PATA extends back to early days of Conner who created PATA in early days. And like I said about Conner they had high failure rate and slow. I was early adopter of computing stuff back then around 1988. Last edited by thinkpadcollection on Thu Oct 19, 2017 11:44 am, edited 1 time in total. Afaik it uses a JVC 26pin drive that is some propreitary junk or something. Thats what someone said who had one 7 years ago. This machine is wierd. It uses those oddball drives(i think), it uses an alps keyboard with two distinct switches, it uses a rare tripletwist STN display. It uses D batteries for all means and purposes. 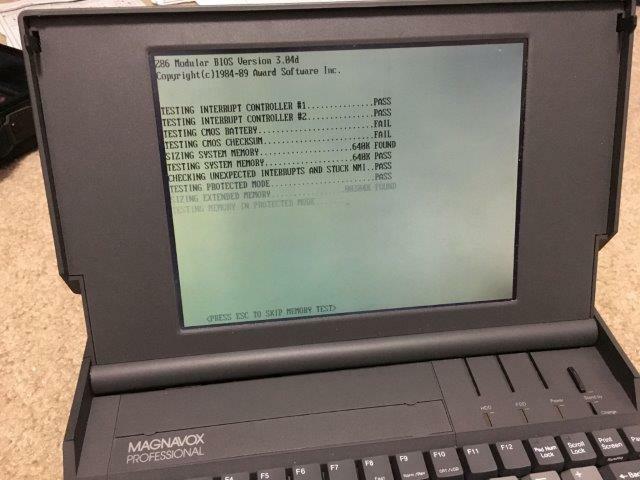 This isnt your normal Compaq LTE 286 were playing with here. Not this generic 286, this is standard 2.5" ATA/PATA. The JVC using 26 pin connector is extremely rare and I only seen this in Toshiba luggables and is extremely high failure rate as well. Zenith notebooks at one time used this as well. By the way, I had LTE 286 before and fixed one other LTE 286. This uses PATA 3/4" height 3.5" Conner CP-4021 using also SH260 chipset only even the connector is different pin pitch but actually ATA/PATA pin out this one had HD failure and swapped out for 2.5" ATA by soldering wires in does work too. I eventually used LTE 386s/20 and had L40 SX (both are using standard 2.5" ATA/PATA using old pattern mounting pattern.). Reason I had LTE and SLT for short time was poor form factor especially LTE 286 LCD is retangular and extremely poor visibility and oddball parts while SLT is bulky and funny to use with separate keyboard place you farther back from smallish LCD, L40SX is much better but I prefer LED status over LCD status indicators. Last edited by thinkpadcollection on Thu Oct 19, 2017 12:01 pm, edited 1 time in total. Where did u learn so much about this machine, but the advice and information is so helpful. Thanks. I have a spare working 810mb drive from a Toshiba Satellite 200CDS. That should work, right? Perfect, try this 810MB HD, lucky you. Since I was deaf, and computers was my butter and toast life as well for decades and assisted with repairs with some computer shops over the years. I collected computers over the years but down to thinkpads, the oldest I have now is 600 using Pentium 233MMX, just right. Still searching for mono notebook someday. Suggestions? Do you know how to disassemble it? I dont want to break it . I would recommend getting an L40SX. Its a nice looking machine, its quite modifiable, fast for a mono machine. 386SX20 and 10.4". This machine is quite rare and hard to find. Wouldn't recommend it. I wanted it for one sole purpose: to bring around and look like a hipster. All my other DOS needs are done in my 755C or Dosbox. The 755C has more power, a sound card, and a color LCD. Quite cheap too! 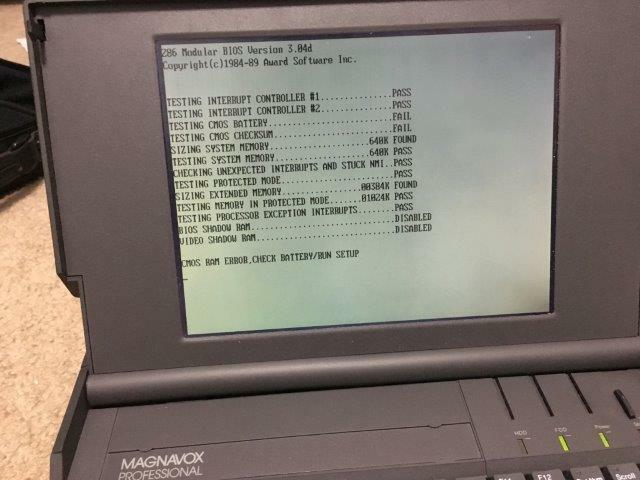 If you would like a cheap machine NOW, a good option would be the SunRace HyperData 2200SX. It is pretty beat up on the paint job, but works well and can be run on 8 C batteries if you so choose to. Loaded with W3.1. 40$ plus free shipping. On eBay now. Popped the RAM slot. No question of a doubt it is a standard IDE 2.5" drive. EDIT: Got the machine apart. I figured out that drive is a CP-2024 drive. Going to replace it with a 3.2GB drive because the 810MB one has stripped screws. Maybe a CF Card in the future. EDIT #2: The 810MB is installed. Problems with the drive. The BIOS is trying to set its settings regardless of what the drive's compatibility mode is. It is forcing the drive into standards it can't handle. Sorry for resurrecting this topic from the dead, but I somehow stumbled across this thread and just had to chime in . 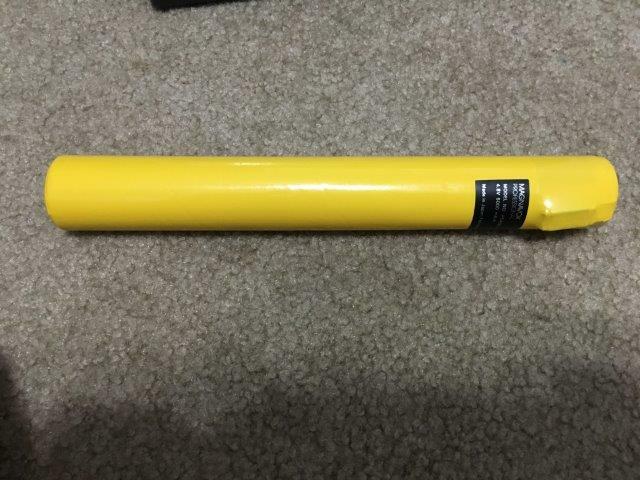 I owned the 386SX/20 version of this thing (looked identical, right down to the yellow cylindrical battery). 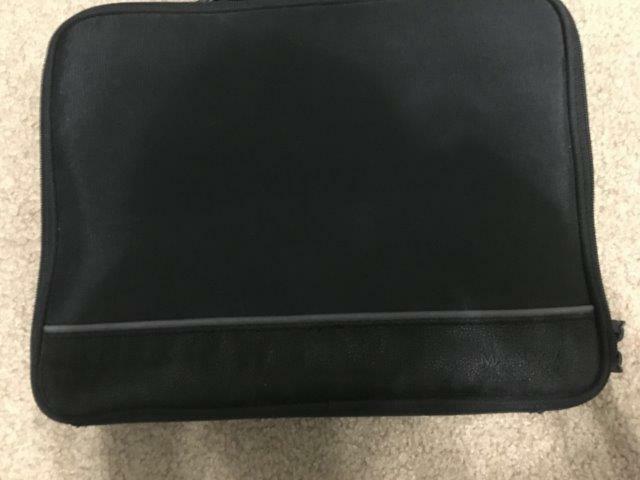 I was in elementary school, into computers, and my dad worked for Philips, so I had a lot of their obscure hardware lying around. I ran a BBS off this thing using the 2400 baud modem (so as to keep my Magnavox Professional 386 DX/33 desktop freed up to play DOOM). Man, I can’t believe there’s one of these still in existence, no less the old 286 version! Double hijacking, this is cool! You are my elders by a fair stones' throw, so I've never touched a baud modem or dial-up, but this looks like the life! Useful battery replacement as well. I miss that part in modern computers. T480 with a older processor ( 7th gen i5 ) ? Has anyone got these T480 models with the lower processor. W500 Heatsink, "Paler" than T61p's? Thinkpad X1 Tablet i5 faster than i7? The P1 and the X1 Extreme are more like each other than the P* or other X*; put them on a separate group?